CALCUTTA — Beaver Local captured its first win of the season by topping East Liverpool 2-1 in nine innings on Wednesday in Buckeye 8 Athletic League play. Hunter Saltsman scored the winning run with two outs in the ninth after an error. Ryan Cunningham had two hits for the Beavers. Kamren Klakos and Paxton Grimes had hits for the Potters. The Beavers improve to 1-8, while East Liverpool fell to 1-12. Beaver Local hosts Lisbon on Friday, while East Liverpool is at Indian Creek. BL–Avery Wiegand (8IP, 4BB, 14K), Jordan Mick, wp (1IP, 0BB, 2K) and Carter Wolski. EL–Paxton Grimes (3IP, 4BB, 4K), Kamren Klakos (5 2/3IP, 0BB, 5K) and Kamren Klakos/Paxton Grimes. 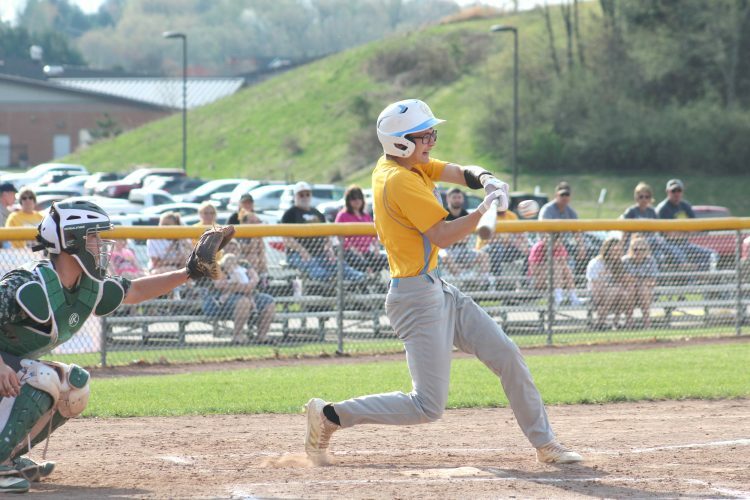 NEW MANCHESTER, W.Va. — Weir scored three runs in the third, fourth and sixth innings to pull away from Oak Glen for an 11-5 win Wednesday. Taylor Webster had a double, single and three RBIs and Bella Aperfine a double, single, three runs and two RBIs for Weir. Hanna Patterson led the Golden Bears with three hits, including a home run, and scored three runs. Madison McKay also had three hits and Grace Smith collected two hits and two RBIs. W–Samantha Kaczmarek, wp (6IP, 4ER, 7H, 1K, 2BB), Alivia Rosnick (1IP, 1ER, 2H, 1K) and S. Mikula. OG–Madison McKay, lp (5IP, 8R, 5ER, 6H, 8K, 3BB, 2HBP), Janaya Montgomery (2IP, 3ER, 4H, 2K, 1BB) and Hannah Walker. CALCUTTA — Olivia Keller and Alexis Jordan both drove in three runs as Beaver Local routed East Liverpool, 15-1 in five innings Wednesday. Keller had three hits and two runs and Jordan had a double, a single and a run. The Beavers scored four runs in the first inning, seven in the second and three in the third to take a 14-1 lead. Winning pitcher Olivia Keller struck out nine and gave up two hits. Sydney Cooper had two hits and scored East Liverpool’s lone run. Victoria Flores had the RBI. Beaver (5-5) will host Columbiana at 5 p.m. Friday. B–Olivia Keller, wp (5IP, 9K, 3BB) and Tori Bowersock. E–Karley Golden, lp (4IP, 8BB) and Jones. COLUMBIANA — Lisbon’s perfect start to the season continued with a 13-7 win over Columbiana on Wednesday in Eastern Ohio Athletic Conference play. Autumn Oehlstrom had two home runs, a double, a single and six RBIs for the winners, 8-0 and 6-0 in the EOAC. Kenedy Vrable added a home run, double, single and an RBI. Justyce Vrable had three hits and an RBI. McKenna Dailey had a home run, single and two RBIs. Alyssa Tohm had three hits including a triple and an RBI. Tori Long had a double, single and two RBIs, while Kennedy Fullum had two RBIs. Julia Rapp had three hits including a double. Columbiana is 4-5 and 2-3. The Clippers are at Western Reserve today. LI–Emma Thompson, wp (7IP, 6K, 1BB) and Kaity Clark. C–Alyssa Tohm, lp (3BB, 4K) and Audrey Smith.